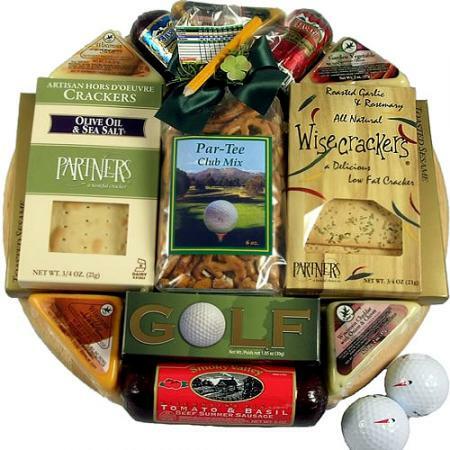 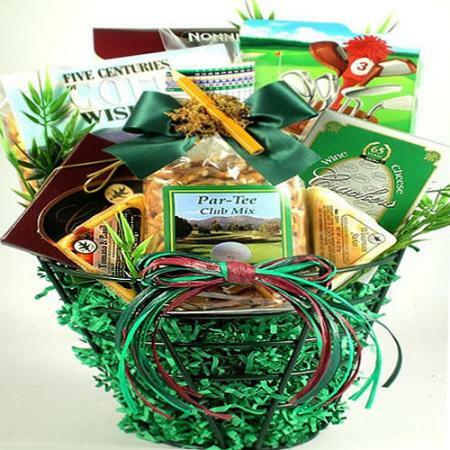 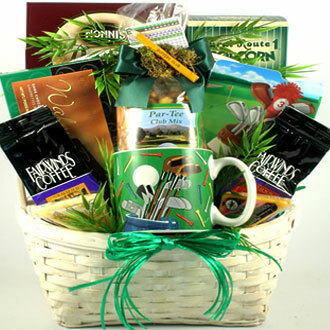 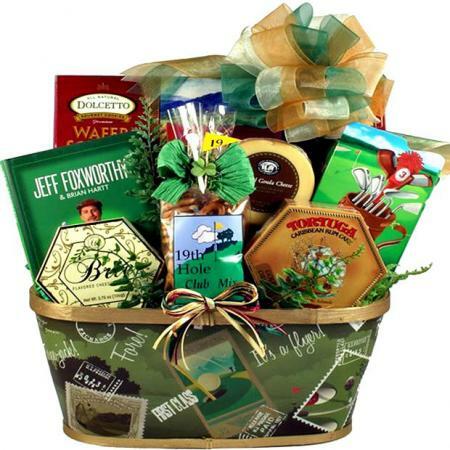 For the golfing enthusiasts, this golf gift basket is right on par. 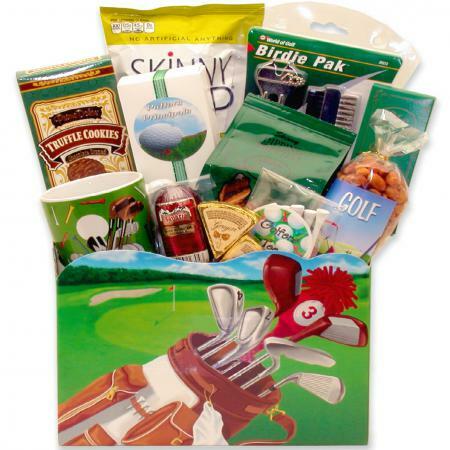 Know someone who loves to golf? 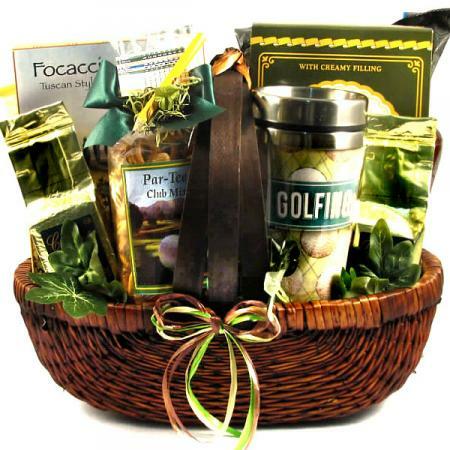 Golf lovers everywhere will love this golfer friendly gift basket with golf themed snacks and a golf themed beverage tumbler. 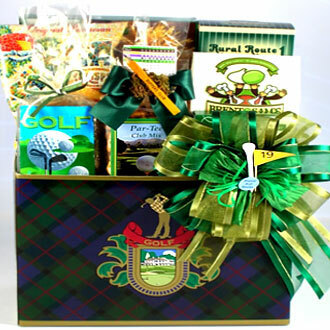 Help your golfing friends celebrate their favorite hobby by sending this handsome golf gift arrangement filled with delicious gourmet gifts along with a golf themed travel tumbler.